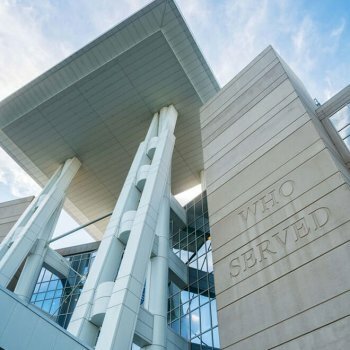 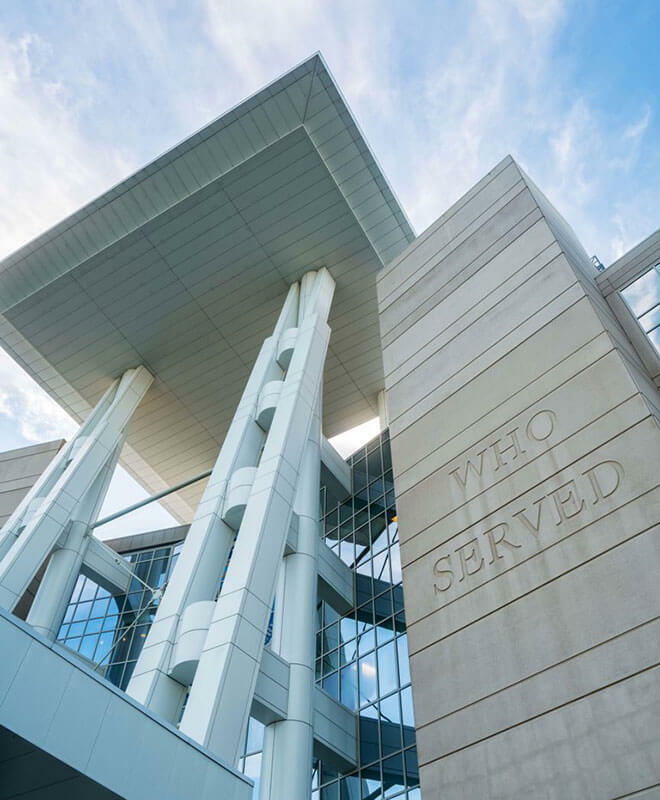 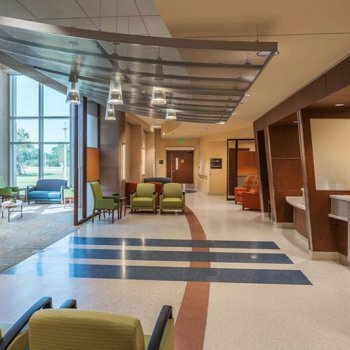 Located within Lake Nona’s Medical City, the VA Medical Center provides a full spectrum of inpatient and outpatient services to veterans while emphasizing clinical efficiencies, integrated technologies, and patient/family amenities. 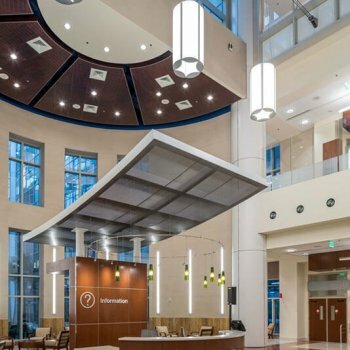 The campus comprises a 134-bed hospital, 120-bed nursing home, 60-bed residential rehabilitation facility, clinic, diagnostic and treatment areas, chapel, support/administration areas, warehouse, and two 1,200-space parking structures. 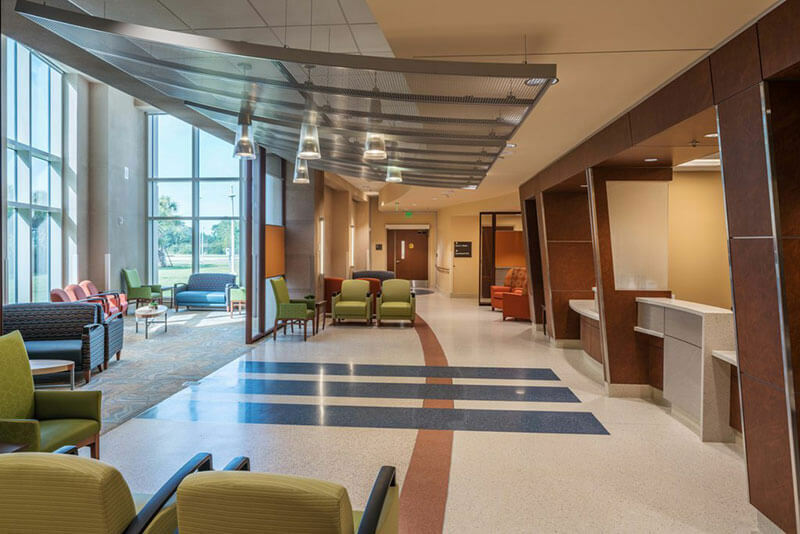 Careful site planning maximizes natural views from patient areas and the stately, symmetrical design* places high-volume areas close to the main entry for easy access. 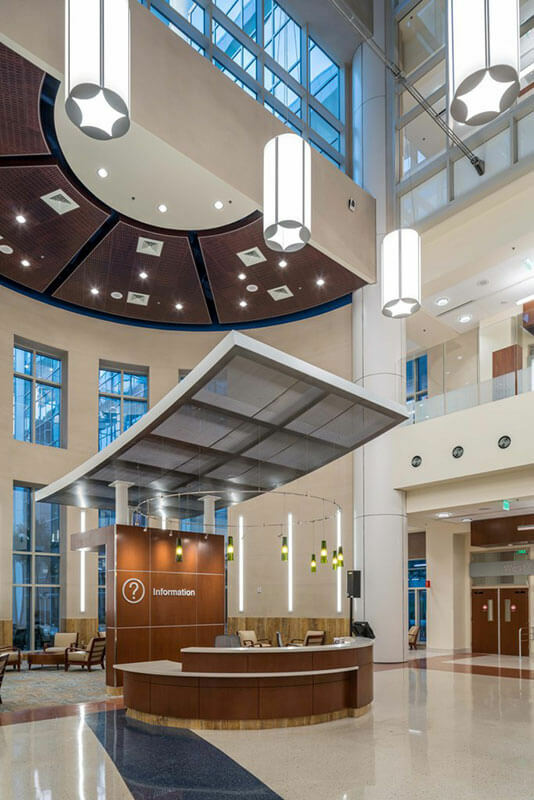 The hospital and clinic are connected by a glass, steel, and concrete atrium topped by a “super roof” that aids in wayfinding while collecting rainwater and housing solar panels along its entire length.